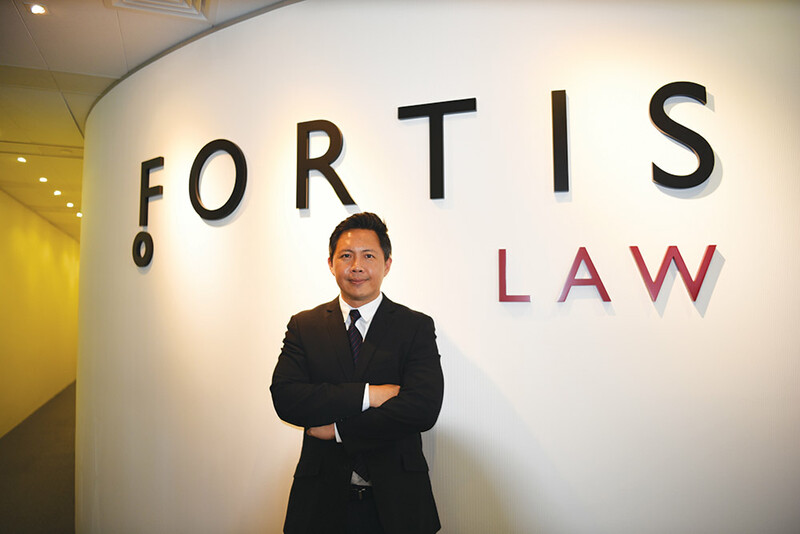 Patrick Tan is the Founder and Chief Executive Officer of Fortis Law Corporation, a young and promising law firm. It was the first in Singapore to be awarded the prestigious PrimeLaw certification, which stands for Practice Management Excellence Standard awarded by the Law Society of Singapore. Patrick is an entrepreneur by nature, spontaneous and bold in making decisions. Grew up in a poor “gangster neighbourhood”, his determination and perseverance had shown up when he earned his own pocket money by working 14 hours a day as a caddie boy at the age of 12. 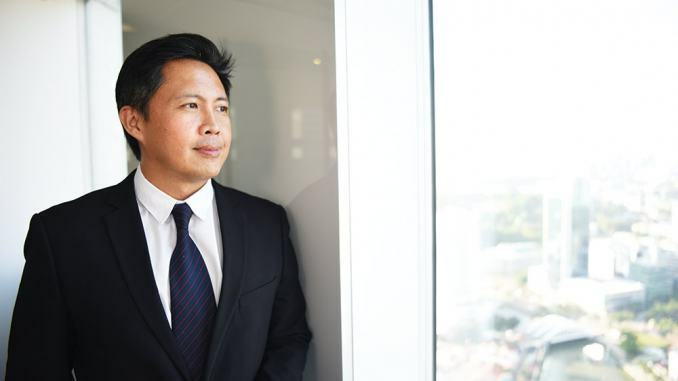 All these precious qualities helped him thrive and develop his law firm from a one-man business in Chinatown to an award-winning practice at Raffles Place, despite all the odds were against him. What made you start your own law firm?” I asked Patrick Tan, founder and chief executive officer of Fortis Law. Started in 2003, the law firm has already garnered several accolades, including being Singapore’s first law firm to receive the prestigious PrimeLaw certification from the Law Society of Singapore. “Oh that was very frivolous,” was Patrick’s unexpected answer. We laughed as we sat in his office at Raffles Place, the stunning view of Clarke Quay and the Singapore River visible through the glass windows. This exchange would mark the rest of our interview with Patrick – full of surprising answers and good old local humour. But as he details his journey in starting Fortis Law, it soon becomes clear his path had been far from easy. The first surprise came in the form of Patrick’s childhood – contrary to what one might expect of a professional lawyer, Patrick grew up in a rough-and-tumble neighbourhood in Bukit Merah. “That kind of environment we grew up in it was very difficult. Very tough neighbourhood. That probably was what inspired me to do law,” he muses. Patrick recalls gang fights, suicides, drugs, and robberies being part and parcel of neighbourhood life. Two childhood friends died in gang fights; many of his friends were involved in drugs, and he himself fought and was robbed several times. Patrick might have never continued to tertiary education if not for a few lucky turns – a streaming exercise in Secondary 3 separated him from his regular gang of friends. During this time, he also converted on Christianity. Under his mother’s advice, he stopped hanging out with his old friends and made new ones, who inspired him to focus on his studies and aspirations. Patrick went on to junior college, which he described as “a totally different world”. “I started speaking English, before that [I spoke] Hokkien,” he says. It’s probably because of his unique childhood that, despite his achievements, Patrick doesn’t have any blue-blooded, elitist airs about him. He generously peppers his conversations with Singlish, and easily connects like any other heartlander. While Patrick was growing up, his father, a private investigator who worked closely with lawyers, often regaled his sons with stories from work. He “planted the seed of being a lawyer”, but when it came time to apply for university, law was not even on Patrick’s mind. “How can we afford?” he recalls. But his parents sold their flat and gave him S$100,000. With his family’s encouragement, he left Singapore and completed his law degree at Nottingham University in the UK, graduating with top honours. After obtaining his degree in 1998, Patrick was offered jobs at major banks in London. But he decided to return to Singapore at his mother’s behest. “[She said] ‘Better come back lah.’ Talking about my father lah… My brother lah… All these story. No choice mah. Right? Then I was a bit homesick also. So I decided to come back lor,” he quips. Patrick eventually landed a position at Rodyk & Davidson, where he began his six-month pupillage. He recalls with great amusement the competition he had with his boss over who could work harder. “When I worked three years there, I only cleared one day of leave. So I accumulated 60 over days. But he accumulated over 300 days of annual leave,” he remembers. So in 2003, Patrick sat down with his boss. “I want to quit,” he said. “Huh? Where got people quit when life is too good one? Are you sure or not? Are you on drugs?” asked his baffled boss. After leaving Rodyk & Davidson, Patrick embarked on what one would call a YOLO (You Only Live Once) streak – which unfortunately left him broke. He bought a Harley Davidson and spent two months backpacking around Europe with his then girlfriend (now wife), who was also a law graduate. “I still remember I bought the motorcycle before I travelled. Why did I buy the Harley-Davidson for my brother and for myself? I spent $40K. Then I went to Eastern Europe and spent another $30K,” said Patrick. Back in Singapore, his girlfriend found a job, but he did not. His previous boss invited him to rejoin the firm, but he rejected the offer. Broke and jobless — what could be worse? Just as Patrick was feeling lost, a friend with a solo law practice Chinatown called him out for coffee. “Why don’t you try joining a smaller law firm?” his friend suggested. Patrick hesitated. Having worked in Raffles Place for years, this was his first time learning about the many small law firms in Chinatown. But his friend convinced him to give it a go. His friend gave him a work station at his office, and that was how Patrick started his own law firm. Initially, business was rough and Patrick hardly had any clients. The first month, he did a will for his aunt’s friend and made S$80. The second month, he changed the name for a client and made S$100. Most of the time, however, it was just him and his friend sitting in the empty room. “One week passed. Two weeks [passed]. Then I said ‘Like that, how, man?’” Patrick recalls. 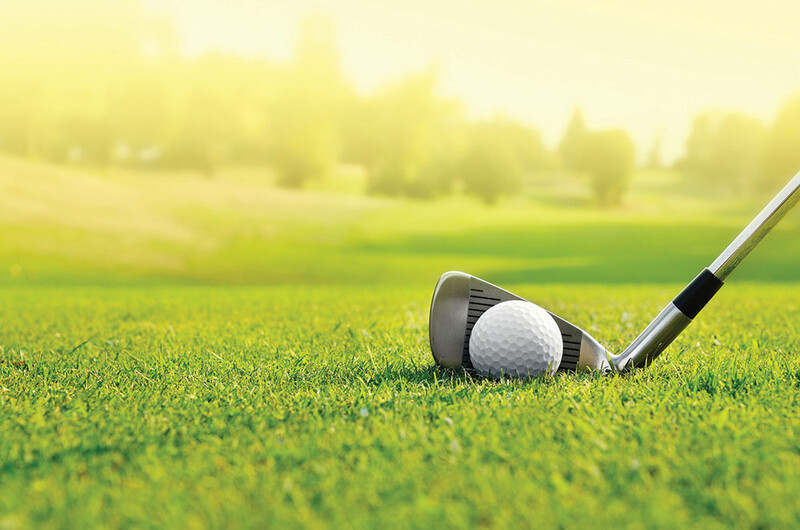 This reminded Patrick of the unique skill sets he had to net potential clients – drinking and golfing. So he adopted a new strategy. “Every night I drank like crazy. I started drinking from 5pm until next morning 6am,” says Patrick. Through extensive socialising, Patrick’s network grew and he gathered more clients. “I really hated golf,” says Patrick, another unexpected revelation given that he plays golf quite well. But even more surprisingly, this lawyer and CEO used to work as a caddie. From the age of 12, Patrick spent his weekends carrying golf bags and picking up clubs, so as not to burden his parents for pocket money. “Every Saturday at 4am I had to queue up by the door,” Patrick recalls. He would spend six hours at a time following the golfers around the grounds, while getting burned by the midday sun. Over time, Patrick eventually picked up golf, but his unpleasant experiences as a caddie made him detest and avoid the sport. It was thus with great reluctance that, while at Rodyk & Davidson, he began playing golf with the clients at his boss’ behest. “[Clients] like to play with a lawyer who can play golf,” he says. Since starting his own practice, Patrick now plays golf with a mission. Being on the golf course still brings back memories of his caddie days, but he says now “it’s like on a different side”. Who would have expected the caddie who worked 14 hours for $40 a day to now be a law firm boss? Through his networking efforts, Patrick’s law business began to pick up and by its second year, he had hit a peak. “In 2004, I had made all the money I could make on my own. I was working 20 hours and sleeping 4 hours a day but [I was] maxed out,” says Patrick. But expanding a business was a daunting task. Again, Patrick had to decide whether to take a leap of faith. Having made up his mind, Patrick hired his first lawyer and began to grow his law firm. “That was when the real challenges came — bringing in the work, managing the team and cash flow,” says Patrick. When asked what are his biggest challenges currently, Patrick named talent retention to be the first, and financial management as the second. Patrick’s law firm, Fortis Law, was based in Chinatown for seven years until 2010, after which they moved to Clifford Centre. At the end of 2017, they moved back to Raffles Place. Fourteen years after leaving Rodyk & Davidson, he was finally back in his old hunting ground. Patrick muses that if he had continued working at Rodyk & Davidson, he would probably be a senior partner with 250 lawyers under him today. But boldness to take unconventional risks, as well as sheer determination have helped Patrick to thrive on his own. In 2007, Fortis Law became the first law firm in Singapore to receive the prestigious PrimeLaw certification, a Practice Management Excellence standard awarded by the Law Society of Singapore. In 2017, Patrick himself was awarded the Skillsfuture Study Award (Legal Sector) and successfully completed the SAL-INSEAD Law Firm Leadership Programme conducted by INSEAD. When asked about advice for young lawyers, Patrick says “to always ask them to practice what they want”. “Put aside all the glam and money. Is law really what u want to do for long term? Can you see yourself in five years’ time as a lawyer?” says Patrick.